Welcome to another glorious Sunday! I hope you're having a great weekend. It's been chilly here in middle TN, so we've been snuggled inside, reading, eating, and catching up on chores, and of course, taxes! Have you been a good dooby and filed already? Bravo! The Nashville Predators are heading to the playoff this week, and I couldn't be more excited. Two years in a row! Nothing better than having your home team get home ice throughout. And NHL playoff hockey is incredible. Going to be a fun first series of games -- especially playing the Avalanche. 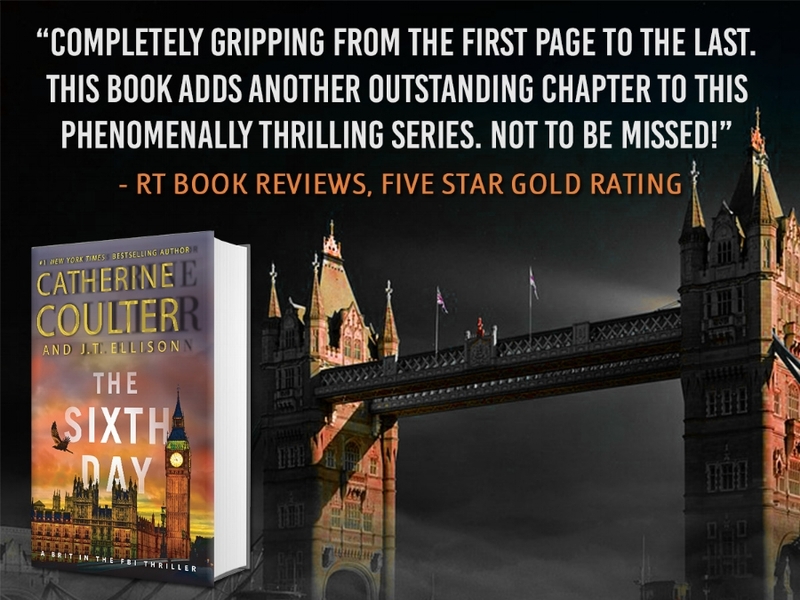 I'm gearing up for a big week ahead— Tuesday is release day for THE SIXTH DAY! And I'm heading to visit my folks, which means lots of golf, laughter, and good food to come. My friend and brilliant writer Lisa Gardner gives her Top Five Writing Tips in the Strand Magazine. This is utter gold, and definitely someone to emulate. Hey, Lefties, Jet Pens has a set of notebooks especially for you. The Kokuyo Soft Ring Notebooks are specifically designed to make it easier on your wrists. Why heart attack symptoms are missed in women. The more you know... spread the word, ladies! This was fascinating — Why Ron Howard joined 'Solo: A Star Wars Story' in its time of upheaval. Taking on a legendary epic prequel had to be very hard. So glad to see him step in! From the well, that was inevitable files — Lawyers Faced With Emojis and Emoticons Are All ¯\_(ツ)_/¯ with a hat tip to the Passive Voice Blog. From Agatha Christie to Tana French, Mystery's Menacing Homes: The 7 Creepiest Manor Houses in Mystery. I am in a gothic mood right now, so this was well-timed. 6 Things You Need to Recover From Every Day – Benjamin P. Hardy's latest Medium essay is really thought provoking... I might have more on this soon. Elephants & Bees This project is so cool! Innovative, safe, and kind. I had no idea, either. Introducing the revamped blog: Momentary Lapses of Reason! Yes, I've renamed my writing/observation entries to more closely match what I think the writing process is all about. We have a tweaked new look, new branding, and have reopened the comments for conversation, community, and general merriment. Please join us! That's it from me. Watch some hockey, read a good book, get out and take a walk in the gorgeous spring sunshine (with your allergy medicine on board, natch) and I'll see you net week!